The second leg of the wildy popular “8 Letters” Tour heads to Raleigh’s Red Hat Amphitheater on August 3rd. 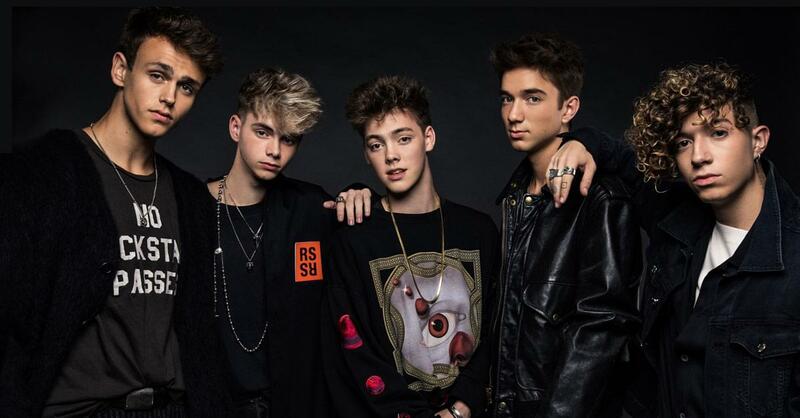 Atlantic recording artists Why Don’t We have unveiled details for the summer leg of their wildly popular 8 Letters Tour. The newly announced shows kick off at the Orange County Fairgrounds in Costa Mesa, CA, on July 18 and continue through the end of August. Tickets go on sale this Saturday, February 23, at 10am (Local Time). The dates mark an extension of the breakout pop group’s biggest headline tour thus far, which begins on March 20 at Comerica Theatre in Phoenix, AZ, and already includes sell outs in Los Angeles, Boston, Chicago, and New York City, where they sold out the legendary Radio City Music Hall in just 2 hours. For ticketing details, tour updates, and more, please visit www.whydontwemusic.com. Why Don’t We will play Red Hat Amphitheater in Raleigh on Saturday, August 3. Tickets go on sale this Saturday, February 23 at livenation.com, CEI box office at Coastal Credit Union Music Park, Ticketmaster, and by phone 800-745-3000.